Completely stock 141,000 mile engine except for 65# Precision Turbo injectors, Megasquirt II 3.0, MSD 6AL and an Ebay T-70 turbocharger. Currently running 8 psi of boost and loving it! October 2009 - When I took down my T-Top headliner, it broke into three pieces! 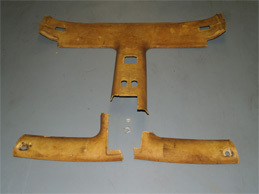 Follow this link to see how I used fiberglass and resin to repair and improve the headliner board. 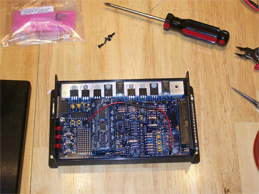 August 2009 - Building the kit version of the Megasquirt II 3.0 was the easy part. Making the harness ended up being the real work of this project! The Single Turbo installation project! 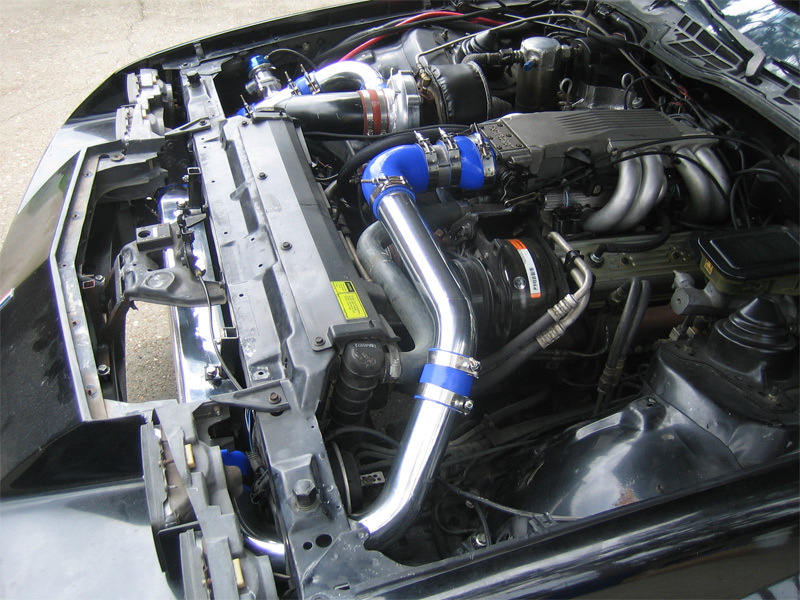 Sept 2009 - Now for the cool part - how I got the turbo to mount up and do its thing! Lots of pics of the downpipe build. This covers the install before intercooling. I'll put up a separate page for that when I start on that project. 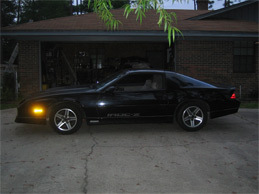 July 2010 - After nearly a year, the Turbo Iroc has been running great! Waaay past time for an intercooler so I finally ordered one. This page covers my work to install it while retaining the original Iroc appearance and intergrity of the crash bar. The driving lights and center tag mount are retracted out of the way during boost and return to the stock positioning when not under boost. 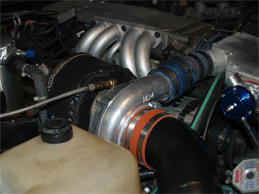 This retains the factory Iroc appearance while still allowing for maximum airflow across the intercooler when needed! How much does it cost to turbocharge?? August 2010 - So you want to do this to your car? This is the link to find out how much this project will cost. Keep in mind I used cheap parts everywhere I could get away with it, except for my gauges, sensors and fuel components such as injectors and the fuel pump. You could easily spend two or three times as much for a higher quality turbo, intercooler and ECM.